Well, our final Mitchell reflections have been posted – marking the official end of my year in Ireland. As always, check out my fellow scholars’ reflections about the year and our time on the Emerald Isle. I’m famously terrible with goodbyes. I get teary in the days leading up to a big goodbye, and everything sets me off – the mere thought of a final farewell, the symbolism of a sunset, etc., etc. It’s a bit of an embarrassment when I find myself reduced to tears so easily. 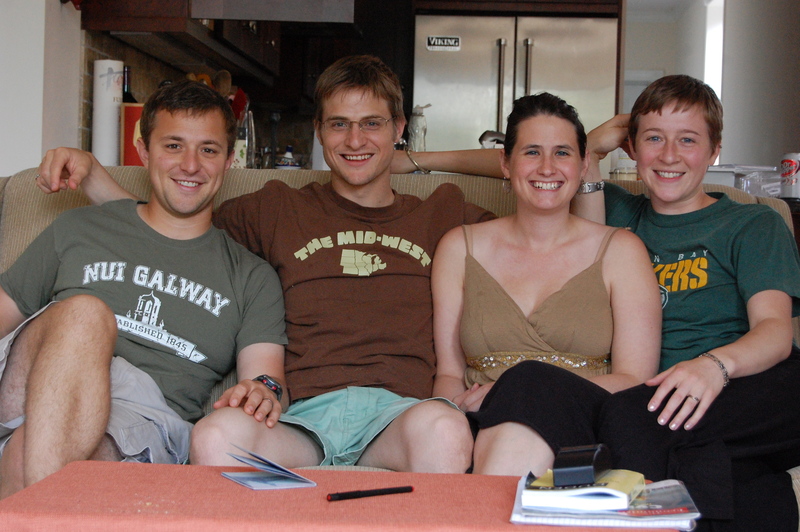 So I knew that my last month in Ireland would be rough: many opportunities to publicly humiliate myself with goodbyes to the Mitchells, my Irish friends, and #24 The Waterfront (our lovely home in Galway on the River Corrib). The Mitchell goodbyes went better than expected. After a great week of activities – meeting Irish President Mary McAleese and receiving our class rings, becoming one with nature at Glenstal Abbey, participating in Listowel Writer’s Week, and enjoying time in the beautiful Glin Castle – we had one last big group hug in the parking lot of the Limerick train station. I held back my tears and laughed at the antics of the group as we said our goodbyes. Saying goodbye to Galway and my friends there was another story. Once, in the days leading up to our departure, my husband Jon just said the word cry and I burst into tears – apparently unable to stop myself. As we packed up our belongings (…miniature Eiffel Tower from Paris, leggings I purchased at Dunnes for only €3, books on gender and economic development…) I thought about the many things I’d miss about Galway. First and foremost, my friends Laura and Avril, who share my interests and now know my quirks enough to tease me mercilessly; not to mention the community of friends I’ve built over the past year. But also: the swans, the Saturday market, the guy on Shop Street that sculpts a sleeping dog out of sand, the habit of taking tea four times a day, the discussions of local politics and the recession on Galway Bay FM. After days of preparations, Jon and I gathered our things and boarded the train. I thought about the loss of our happy little Galway life as we pulled out of the station and began to miss Ireland even though I was still within its borders. Just as expected: at least one public show of tears. When we arrived back in the United States, my dad welcomed us home with bottles of Guinness. He wanted us to have a little piece of Ireland when we returned. Over dinner with my grandpa and grandma, we cracked open the bottles and poured them the proper way. Grandpa took a couple of sips and asked, “Do any of you actually like this stuff?” He was right: Guinness from a bottle is not as good as it is from the tap. This was not a surprise, but Grandpa’s comment made us all laugh. The funny interaction between an American and something Irish reminded me of all the other interactions between the two cultures that I’ve seen over the past year. There was the time, a couple weeks before we left Galway, that I checked my email and received a poem. Avril, who was sitting beside me, exclaimed, “I LOVE this poem!” The poem was one about summer by Carl Sandburg, a poet I have come to love from living in Chicago. Avril read it aloud, her Donegal accent filling the room, and I reflected on the beauty of finding an Irish friend who appreciates a Chicagoan’s poetry as much as I do. I remember another time, months earlier, when my classmate Grainne happily informed me that her uncle was also from Chicago. “Maybe you’ve heard of him?” I laughed, reminded of the many times that Irish friends have asked me hopefully if I know their cousin who lives in Idaho, Pennsylvania, or Texas. “Chicago’s a big city, Grainne!” She defended herself by responding, “Well, he’s involved in politics. He’s worked really closely with Governor Quinn.” Oh, I thought, that’s different! It turns out that Grainne’s uncle is well known in Chicago, and Grainne was quite knowledgeable about Chicago politics. I would have never expected that one of my Irish classmates would have hosted the future Governor of Illinois at her home in County Mayo – but, she did! I think back to an American Bluegrass festival held in Galway, conversations about American politics with the parents of Irish friends, and the time I explained the meaning of Thanksgiving to my classmates. In the US, I’m bombarded by Irish flags hanging over pubs in every city I visit and the ubiquitous Claddagh rings on women’s fingers. We spend our time reconnecting with friends and family, and talk to them not just about the ancient beauty of County Kerry, but also of the immigrant communities that we encountered in Galway, how the Irish educational system is different than the American one, and our peers’ viewpoints on social issues like gay marriage. As all of the thoughts of the connections between the US and Ireland flash through my mind, a truth emerges. Ireland has become a part of me more deeply and permanently than I expected. When I took the train out of Galway at the end of June, it didn’t represent the end of anything. My relationship with Ireland, as well as the other Mitchell Scholars, is far from over. It’s just beginning. Miami Beach, 23 July 2010. In addition to reading and relaxing post-thesis submission, I’ve been messing around a bit more with my photos and flickr account. I just revisited this recent photo, from our quick trip to the Art Deco District in Miami Beach, and I’m sort of in love with the colors. Enjoy! Since we left Ireland, my life has been sort of a big, beautiful blur. Leaving Ireland was, as expected, nearly impossible to do. Saying goodbye to our idyllic lives by the sea and our lovely group of Irish friends was really, really sad. We tried our best to keep our chins up and to enjoy every last second – all the while working on our theses and packing up another year of our lives. 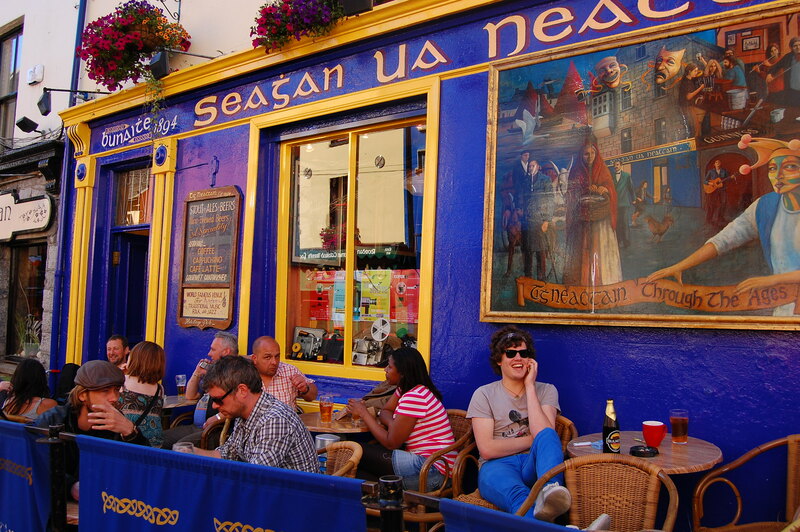 We did take some time to check a couple of things off of our list, including spending an afternoon at the historic Tigh Neachtain pub with friends. After a teary goodbye at the Galway train station, we were off … on our way to our whirlwind tour of America. First stop: My hometown of Mahtomedi, Minnesota. We made it just in time for my dear friend Hilary’s wedding, and spent the week both working on schoolwork as well as catching up with family and friends. 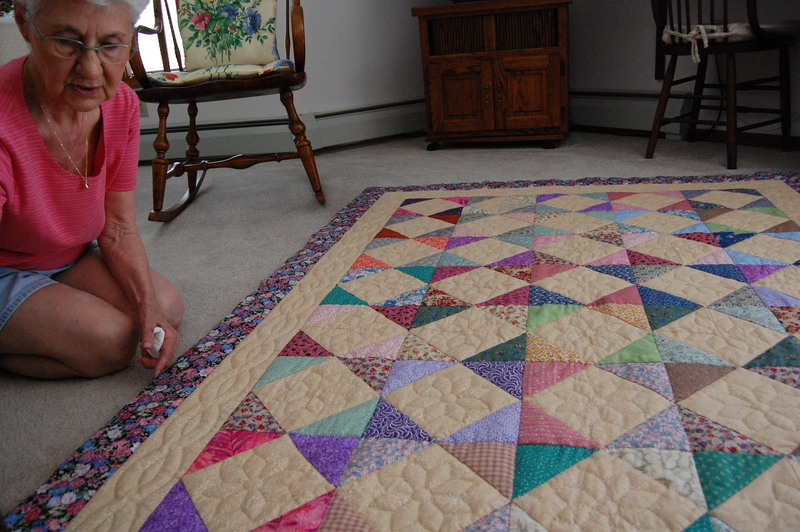 We had a lovely time with family, and loved seeing Grandma M and her newest quilts. Next: Rockford, Illinois. This time, Jon’s family and friends (and don’t forget those pesky theses). We crammed a lot of quality time in with parents, grandparents, and our adorable little nephew. 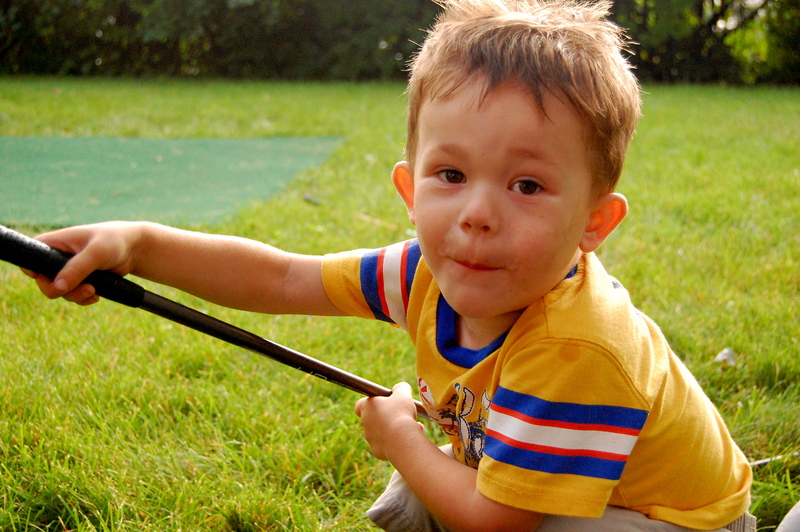 Ryne's got a golf club in his hand - he LOVES to play golf! Next stop: Chicago, Illinois, for a very quick hello & goodbye to our dear friends Becca and Sam. As luck would have it, we’re finally in the US just as they’re on their way to South Africa for a year. Good thing we have that wonderful kind of friendship that you can just pick right up where you left off. Next? 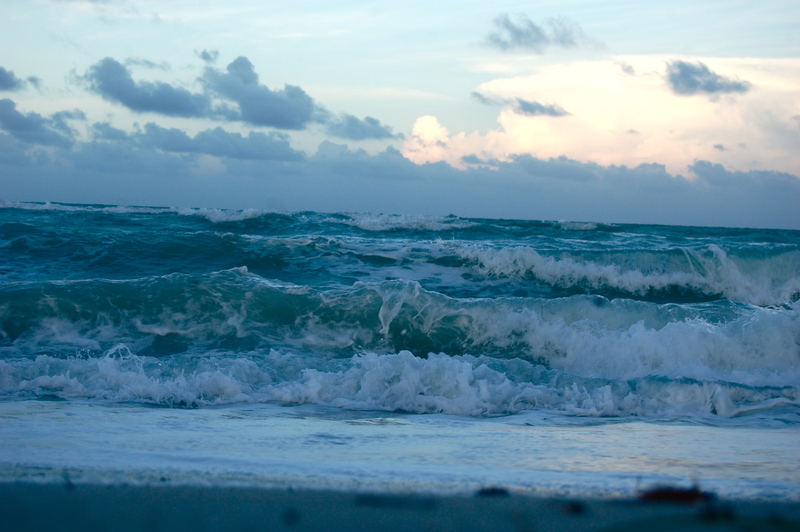 Naples, Florida, and then the Everglades, and Miami, Florida. Jon and I were so excited to visit my mom’s new home in beautiful Florida. Moving to a warmer climate has been one of my mom’s lifelong dreams, and it’s been so much fun for me to see her in her element in Florida. Unfortunately, we STILL (!) had thesis work while we were visiting the tropics, but at least we could escape our punishing academic work by going to the beach. (I neglected to take a single photo in DC… not like me, but my mind was very much elsewhere). Right now, Jon and I are sadly separate. He is in Rockford, putting the finishing touches on his thesis and spending more time with family, and I am back in Florida with my mom. 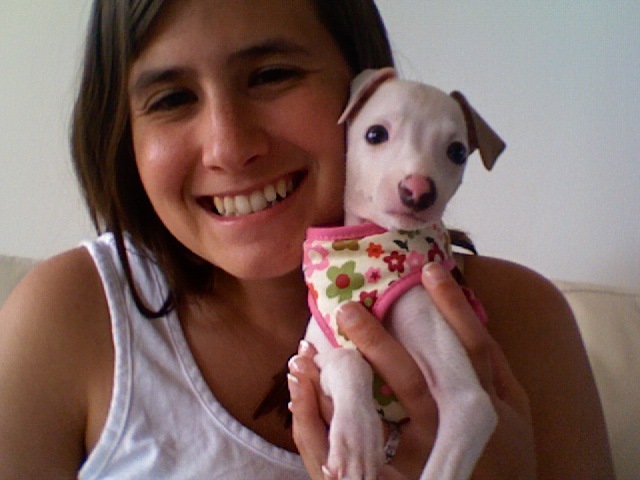 The big news here is that she just got an adorable puppy: Mabel, a teeny tiny Italian Greyhound. Although the last couple of weeks have been spent solely in the US, we’ve seen so much it seems like we must have left the country a couple times. We’ve had moments of quintessential Americana, like catching a Saint’s Baseball game with my dad, watching a small-town fireworks display with Jon’s dad, and walking along the Washington DC monuments at night. We’ve also seen the diversity of American life: I talked with my friend Tena about her Somali students in Minneapolis, visited a wedding shop in search of a traditional Korean dress with my sister in Chicago, and enjoyed Brazilian food in Miami for Jon’s birthday. Overall, it’s been a beautiful blur of a couple of weeks. We’re still not quite sure what’s happening next in our lives – where we’ll be “settling down” or what jobs we’ll have, but we’ll be sure to keep you posted. Until then, you can be sure that we’ll be savoring our downtime in the good ole USA.